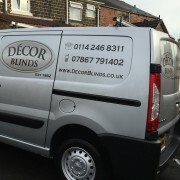 Quality bespoke blinds handmade by ourselves. Please ring before calling into the shop as Mark may be out on call, thank you. Explore our exciting new product ranges, including our completely bespoke range of blinds. With our brand new modern look and our fresh new range of blinds, we are a local family business offering a bespoke service on roller blinds and vertical blinds, come and take a look at our showroom now we will bring your ideas to life. If you need inspiration take a look at hundreds of samples in our showroom.Shop local and get the personal touch guaranteed.